This is a mild flavored one pot meal perfect to pack for lunch box and also it suits for parties as well! Cashew nuts - 6 to 7 no. Wash and soak the rice in water for nearly for ½ an hour. Chop the onions lengthwise and keep aside. Chop carrots and beans into bite sized pieces. Thaw (frozen) or precook ( dried ) the peas and keep aside. Take a pressure cooker; add oil and ghee, after it becomes hot add bay leaf and season it with cinnamon, cloves, cardamom and cashew nuts. Once it crackles; add the onions and green chilies . Saute well, till it is translucent. After that add ginger garlic paste, stir for a minute. Now add salt, veggies, coriander leaves and mint leaves. Sauté well till the raw smell goes. Then add drained basmati rice. 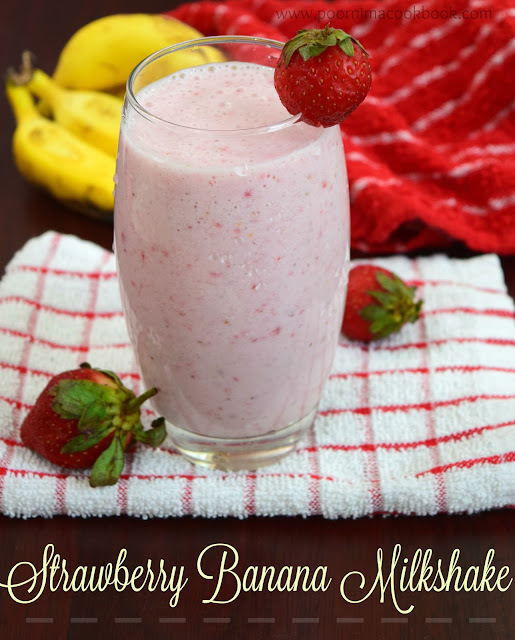 Give a quick mix and add one cup of thick coconut milk along with a cup of water . When the water starts boiling, check for salt. Close the cooker with the lid. Serve hot with with any veg or non veg gravy. You can add corn or potato along with this veggies. 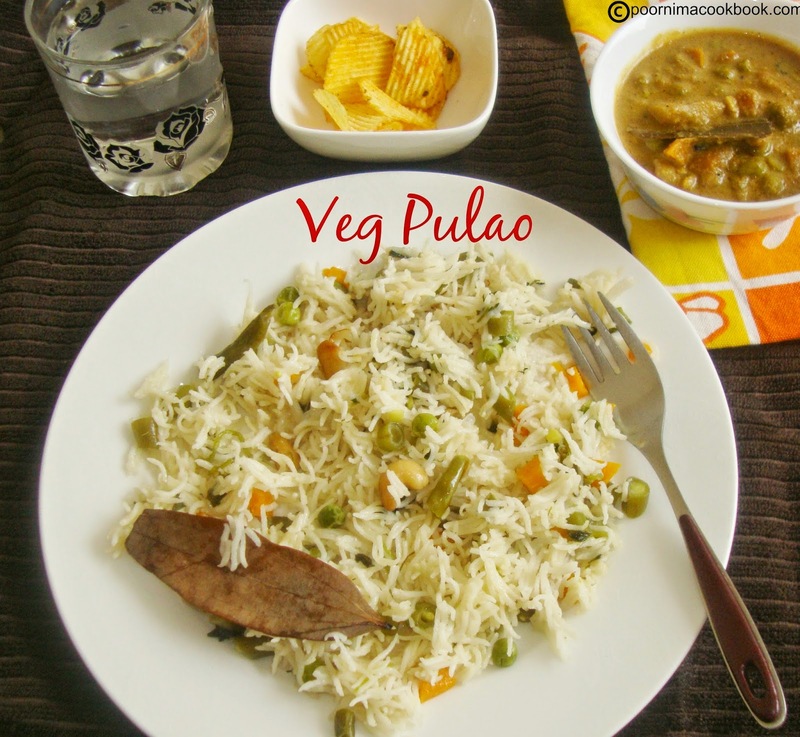 Instead of coconut milk; you can cook this pulao by using only plain water or try with cow's milk also. I have tried it once; it gives a nice fresh taste. I love such a mild flavored pulav. Looks perfect! Thats a lovely and healthy pulao. 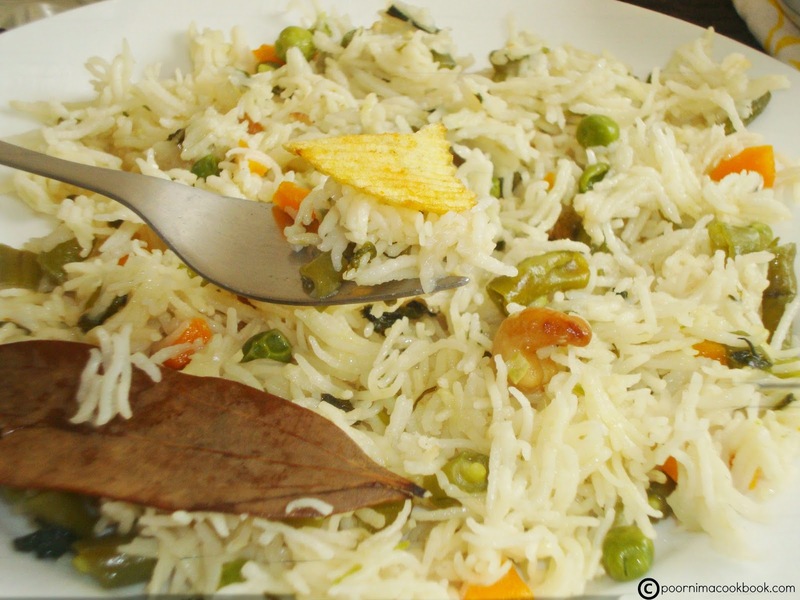 oh pulao looks very tempting .Cant take my eye out of it . 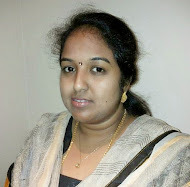 Hi Poornima, the scoop with a little chip on ... ennakuthaney?? Looks delicious! I can survive for many days with this pulao, serve me with some chips can have it even everyday.